With any new haircut comes the fun (and sometimes, struggle) of finding and learning different ways to style it. 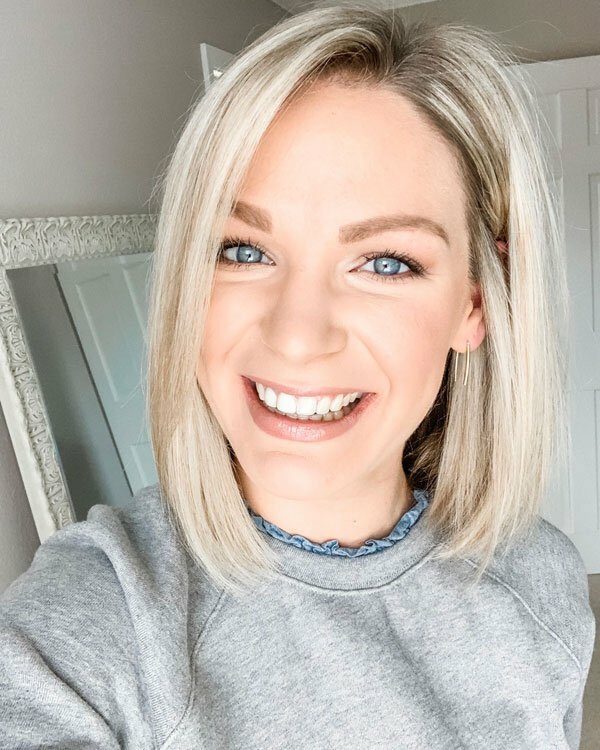 As I’m still working through how to style my new lob with my natural, stick-straight locks, I’m finding that loose, textured beach waves are becoming my go-to look for everyday. Since my hair is naturally straight, using the right combination of products before and after I plan to curl my hair is key. The new John Frieda Beach Blonde collection has been a game-changer for achieving those Pinterest-worthy effortless waves. Not only do all the products smell like you’re on a beach vacation, they will work for any hair color (not just blondes!) 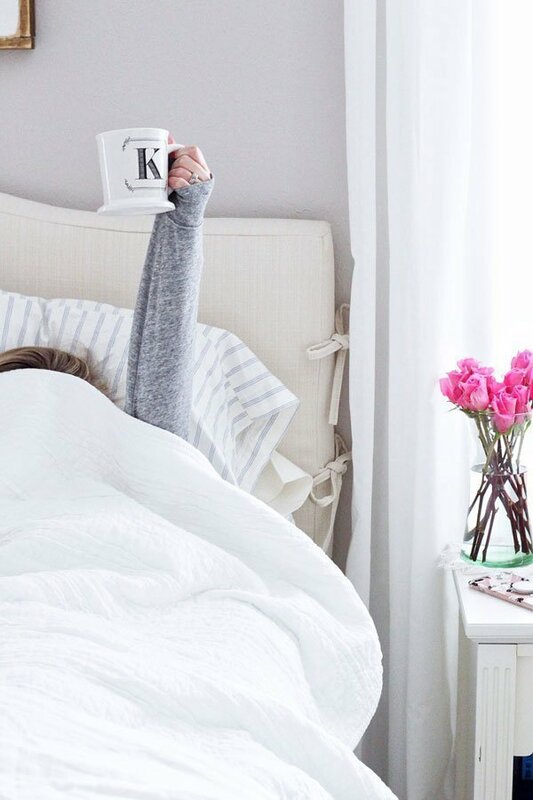 and texture, and let’s face it – if the collection is good enough for Lauren Conrad’s enviable hair, then it’s good enough for us. 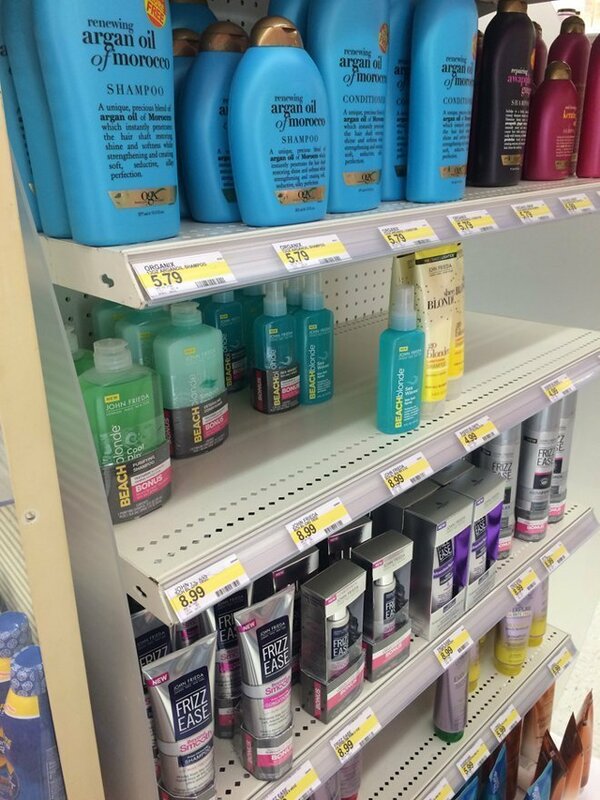 Everything in the Beach Blonde collection is affordable and easily accessible at your local Target. 1. 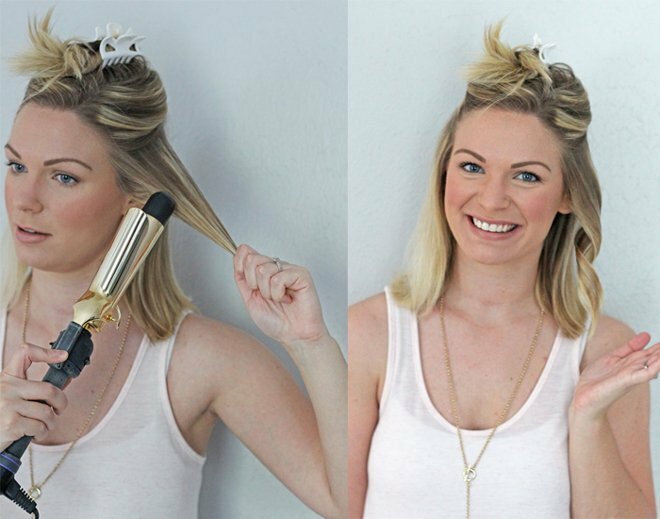 If you’re like me and have a hard time getting your hair to hold a curl, this style will typically work best on second-day hair. So, the night before, I washed and conditioned my hair with the John Frieda Beach Blonde Cool Dip Purifying Shampoo and Detangling Conditioner. Ingredients in both these products help give your hair, regardless of the color, texture to prep them for piecey, but touchable waves. I let my hair air dry to reduce the amount of heat styling, and then I use some dry shampoo at my roots to soak up any excess oil and to give my hair a little bit more grip. 2. 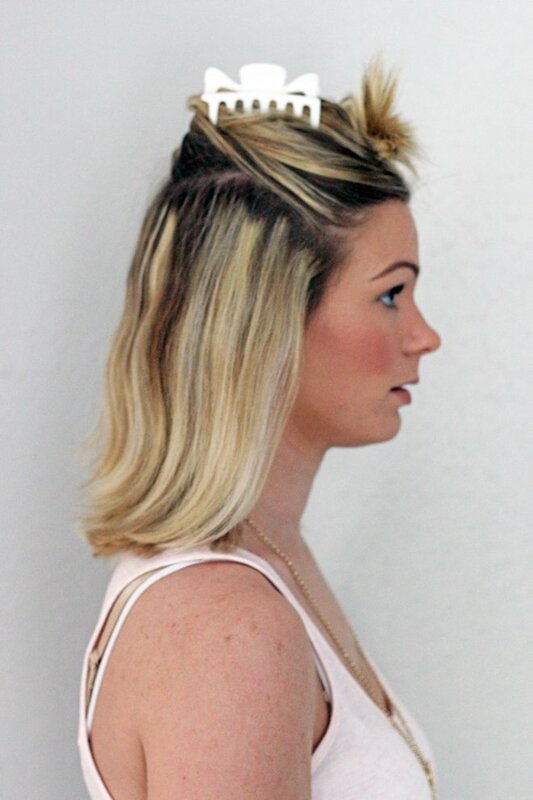 Start by sectioning off the top and bottom layers of your hair. 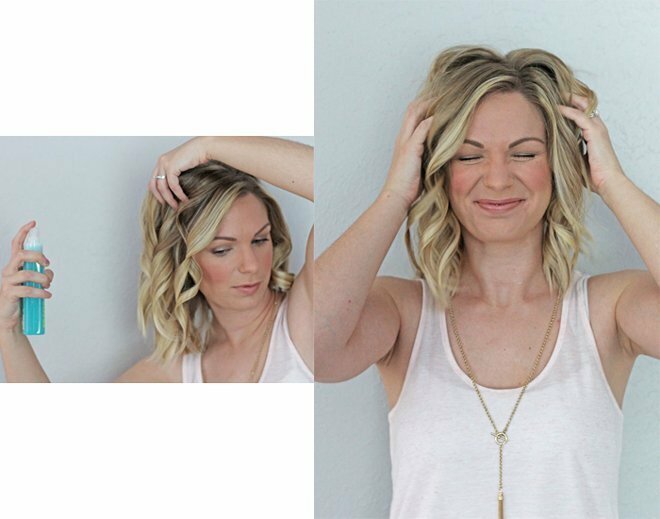 Depending on how long, thick and/or layered your hair is, you may have to do more than two sections – this is just what works for me personally. 3. 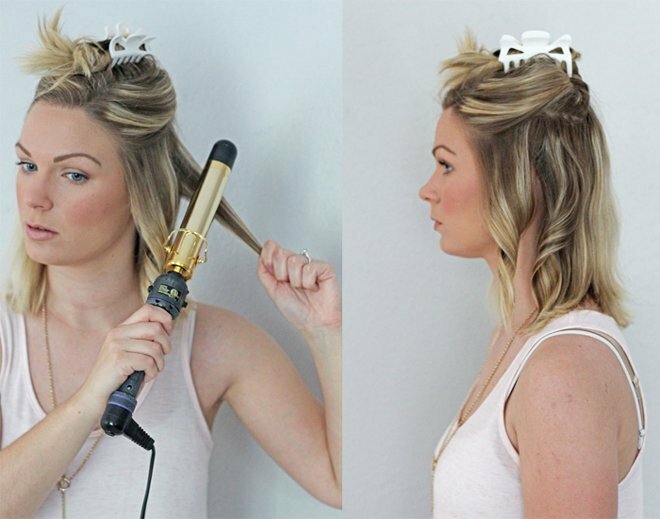 Take a pretty large section – approximately 1″ to the same size as the curling iron – and curl your hair away from your face (the clamp should be facing the front, and you should twist the iron backward). BE SURE TO LEAVE THE ENDS OUT OF THE CLAMP! Curling the ends of your hair will make the ‘do look too polished – the curl should be focused in the middle of the strand of hair with the ends left your natural texture. Hold for no more than 10-15 seconds, and release. Any section(s) of hair in front of your ear should be curled this way. 4. Once you reach the section(s) of hair behind your ear, you want to start alternating the direction of curls so they don’t all blend together. I always start the first curl of this section going toward my face – clamp should be in the back, and you should twist the iron toward your face. Again, hold for no more than 15 seconds and release. 5. 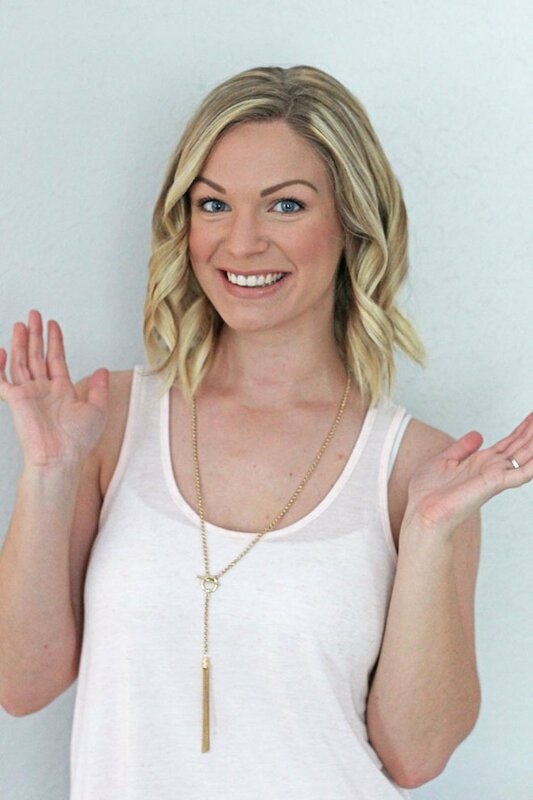 Continue to alternate directions of the curls until the entire bottom layer of your hair is curled. 6. Now, it’s time for the top section, and guess what? Continue the same curl pattern! Curl hair in front of the ears away from the face and anything after that alternate directions. You can hold the hair in the curling iron just a tad longer to ensure extra staying power, but I don’t recommend doing so for any longer than 30 seconds. Don’t forget to keep those ends out! 7. Once you’ve finished curling your entire head, don’t freak out if you look like Shirley Temple – we’re going to remedy that right now! 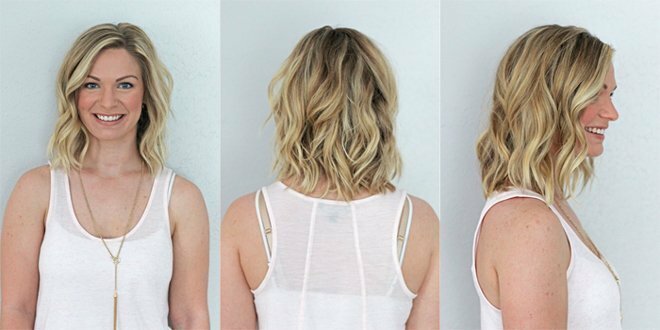 Grab your John Frieda Beach Blonde Sea Waves Sea Salt Spray, and apply a generous amount throughout your hair – be sure to lift up sections of hair to get the hidden sections, and you even can flip your head upside down to ensure that all the hair underneath is getting the product. From there, go ahead and mess up your hair! Yes, you read that correctly – use your fingers and hands to massage the sea salt spray into your scalp, shake the curls out, and fluff everything out. 8. Finish the style with a light-hold, flexible hairspray, and you’re now ready to hit the beach with loose, textured beachy waves! Having short(er) hair has definitely had it’s challenges the past few weeks, but I’m glad to be able to easily throw my hair into this effortless style no matter the occasion. What do you think, are all of you a fan of undone textured waves? Be sure to follow @johnfriedaus on Twitter to stay up-to-date on all the latest beach blonde trends for the coming summer months! I'm so glad you went short your hair looks amazing! This tutorial is great! I’m so glad you went short your hair looks amazing! This tutorial is great! Awe, thanks girlie! You totally should give it a try – the best part is since it's supposed to be a bit undone, the curls don't need to be perfect whatsoever! You'll have to let me know how you like it – it definitely helps give more of a defined, tousled curl instead of everything just blending together like it typically does when you curl it in one direction. That's been an absolute game-changer for me! I agree, it's so fantastic! Thank YOU, sweet friend – I appreciate that since you all know that I've been a bit "eh" about it! That's how I felt, too! It's a nice change for summer. Thanks, mom! I'm trying to make it work! Thanks for the boost of confidence. 🙂 I will say that I'm liking it a bit more now that it's kind of grown into itself and it's not still the harsh, blunt look that you sometimes get right after you get a haircut – you know what I mean? The curls definitely are my preferred look these days, too! Oh my goodness, you're too kind. Thanks, girlfriend – you could totally rock these curls! This is beach wave perfection! I'm usually completely inept with trying to curl my hair, but I love, love the effortless look of these curls! Can't wait to try this out! This is beach wave perfection! I’m usually completely inept with trying to curl my hair, but I love, love the effortless look of these curls! Can’t wait to try this out! Awe, thanks girlie! You totally should give it a try – the best part is since it’s supposed to be a bit undone, the curls don’t need to be perfect whatsoever! 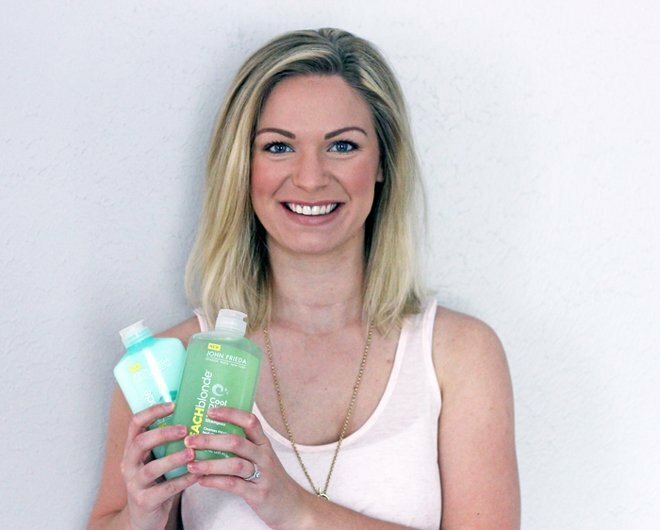 These products sound great, your hair certainly looks fantastic my friend. PERFECT waves! Love this – I keep meaning to pick up some of the spray, I used to use it years ago and your right it smells so good. I love the tip about alternating the direction of the curls, I don't know why I never thought of that before but it makes perfect sense – next time I'm going to have to give that a try! Love this – I keep meaning to pick up some of the spray, I used to use it years ago and your right it smells so good. I love the tip about alternating the direction of the curls, I don’t know why I never thought of that before but it makes perfect sense – next time I’m going to have to give that a try! You’ll have to let me know how you like it – it definitely helps give more of a defined, tousled curl instead of everything just blending together like it typically does when you curl it in one direction. That’s been an absolute game-changer for me! love this product and glad it's back! love this product and glad it’s back! I agree, it’s so fantastic! I'm a huge fan on the beachy wave. Such a good tutorial. Thanks for sharing! I’m a huge fan on the beachy wave. Such a good tutorial. Thanks for sharing! Just throwing it out there but I am OBSESSED with your shorter 'do! SO cute and perfect for summer! And your beachy waves are absolutely perfect! Just throwing it out there but I am OBSESSED with your shorter ‘do! SO cute and perfect for summer! And your beachy waves are absolutely perfect! Thank YOU, sweet friend – I appreciate that since you all know that I’ve been a bit “eh” about it! So many cute short haircuts are making me want to cut my hair. That’s how I felt, too! It’s a nice change for summer. You have definitely mastered the "beachy" look, love it! Hope you're liking your hair a bit more! You have definitely mastered the “beachy” look, love it! Hope you’re liking your hair a bit more! Thanks, mom! I’m trying to make it work! I know it's not your fav but I am so loving the short hair look on you, even more with the curls! My curls never stay in so I've got to try these out! I know it’s not your fav but I am so loving the short hair look on you, even more with the curls! My curls never stay in so I’ve got to try these out! Thanks for the boost of confidence. 🙂 I will say that I’m liking it a bit more now that it’s kind of grown into itself and it’s not still the harsh, blunt look that you sometimes get right after you get a haircut – you know what I mean? The curls definitely are my preferred look these days, too! Oh my goodness, you’re too kind. Thanks, girlfriend – you could totally rock these curls! What a great tutorial! I love those curls – they look so effortless! Your hair looks so cute!! And I usually like John Freida products so I’ll have to give this one a go! Thanks, girlie! Since I mess everything up when I'm done curling, I noticed that if I curled everything in the same direction it all sort of clumped and blended together. This definitely gives more of that piecey definition. You should try it! Thanks, lady! I remember you raving about Dream Curls, so I need to remember to pick it up next time I'm at the store. Thanks, Erin! You're so sweet! Yes, you absolutely should! I've been so impressed with it – plus, everything smells like you're laying on a beach, so that's a definite positive. Oh my goodness, you're too sweet! If you only knew what I go through to make my hair do anything, ha! Right?! They all have the most amazing smell – I plan on packing them all on all and any upcoming vacations. Thanks, girlfriend! I think JF products are some of the best at the drugstore. 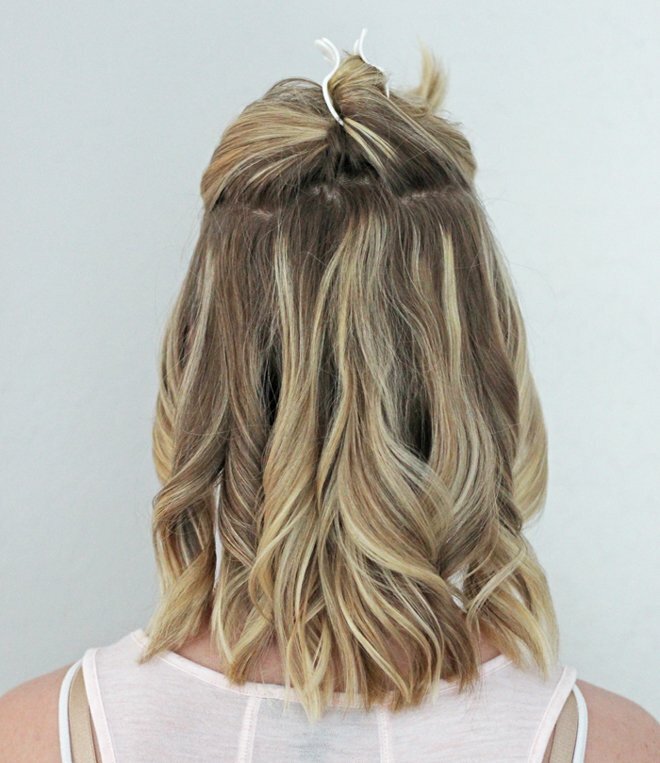 This hair is beachy perfection, the style looks so great on you! I always automatically curl all my hair away from my face, I should try alternating for a different texture! Thanks, girlie! Since I mess everything up when I’m done curling, I noticed that if I curled everything in the same direction it all sort of clumped and blended together. This definitely gives more of that piecey definition. You should try it! This is an awesome tutorial girl! I seriously love John Frieda products! The dream curls is still one of my favorite curling/scrunching product. Thanks, lady! I remember you raving about Dream Curls, so I need to remember to pick it up next time I’m at the store. You seriously look gorgeous!! That hair length is perfect for you! Thanks, Erin! You’re so sweet! Your hair looks so good!! Love John Freida products, definitely going to check into this line for easy hair this summer! Yes, you absolutely should! I’ve been so impressed with it – plus, everything smells like you’re laying on a beach, so that’s a definite positive. This looks so good- I seriously don't get how your hair always looks like you've had it professionally styled! I love the new cut! ps. I love your necklace too! This looks so good- I seriously don’t get how your hair always looks like you’ve had it professionally styled! I love the new cut! ps. I love your necklace too! Oh my goodness, you’re too sweet! If you only knew what I go through to make my hair do anything, ha! Your hair looks so cute!! Love it!! Your hair looks so cute! 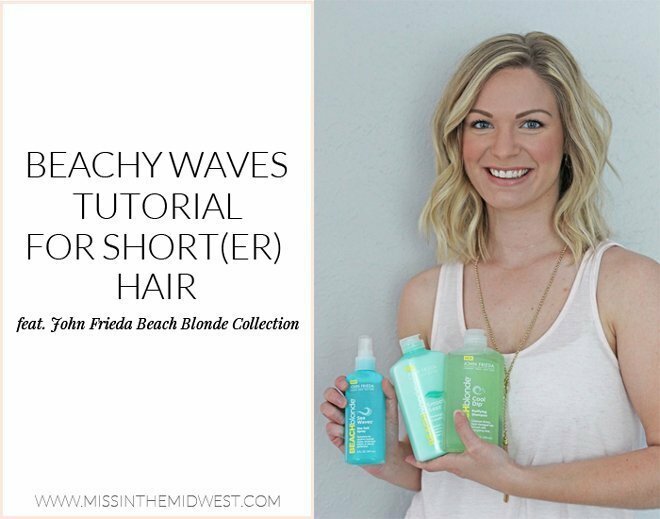 You're totally beach-ready with those waves! Your hair looks so cute! You’re totally beach-ready with those waves! I'm a big fan of John Frieda, such amazing products. Your hair looks fabulous, lady! I’m a big fan of John Frieda, such amazing products. Your hair looks fabulous, lady!